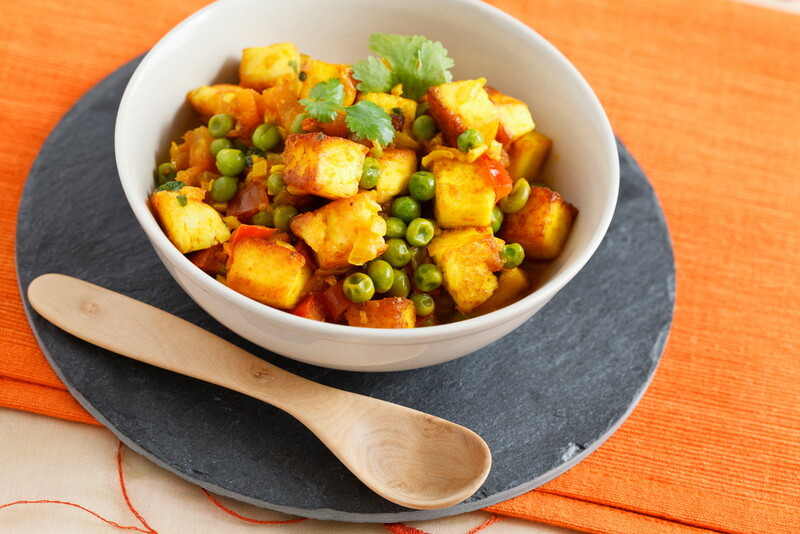 Aloo Matar Paneer - is superb recipe which is easy to prepare at home with some spices.This is very similar with Matar Paneer recipe.We can use tofu in this recipe but regular paneer is best for aloo matar paneer.This is delicious combination of Soft paneer and Green Peas.This is simple recipe you can prepare it in minutes. You can serve Aloo Matar Paneer with Naan, Paratha or plain or jera rice Taste goes well.The paneer cubes brings well taste and cashews nuts paste gives very rich and creamy flavor. This is perfect for lunch,dinner.Let's checkout recipe first. Step 1 : Add Tomatoes,cashews in grinder jar and make a fine paste.Add fresh cream and grind once again. Step 2 : Heat oil in a pan and fry paneer cubes for 2/3 minutes and transfer to plate.Fry potato pieces in same remaining oil and transfer to plate. Step 3 : Now heat a pan add chopped onion and saute for golden brown then Put cumin seeds. After adding cumin seeds, add turmeric powder, coriander powder, chilli powder, stir with a spoon 3-4 times, fry it, and now add the spices prepared by grinding in 1st step and cook till oil starts appearing on top of the spice. Step 4 : When oil starts appearing on spices then Fried paneer,Potatoes and Green Peas mix all well and cook for 1 minutes. Step 5 : Now add 1/2 cup of water for gravy and add water according to you.Bring mixture to boil over medium flame.When boiling start then reduce flame to low and cook for 4/5 minutes or until gravy become thick. Finally : Aloo Matar Paneer is ready garnish with green coriander leaves and serve with chapati,naan or Jeera rice.